I had some experience with AM, in my early ham career. As described elsewhere, my quest for a ham licence started in 1962 when at age 22 - with the callsign ZS1ZG - I found myself the proud owner of a British Army WS62. This set covered 1.6 ~ 10 MHz, and put out an awesome 5W CW and 1W grid-modulated AM. Once I received my licence in November of that year, I put the 62 set on the air, and called CQ on 80m and 40m until the 12V battery powering the set ran down. You can read the rest of that tale here. * later increased to 150W input. For emission A3E (AM), negative overmodulation was explicitly prohibited, but not positive overmodulation! So I designed a high-level clipper-filter. The modulator was a pair of 1625's in Class AB1 driven by a 6SN7 phase inverter, with a transistor preamp inside a metal 35mm film can in the mic lead. The mic was the good old British Army dynamic job, black Bakelite with a pressel switch and rubber mouthpiece. (See left top of WS62 picture). The modulation transformer came out of a scrapped Bendix TA-12B airborne HF transmitter. The clipper-filter was in the secondary circuit of the modulation transformer. The clipper circuit used an EY81 (6R3) TV damper-diode tube, with its cathode connected to the side of the transformer secondary going to the PA anode-voltage feed, and its anode connected via a milliammeter to a stiff, variable voltage source. The Class C PA was a pair of 1625's in parallel. The bias on the EY81 anode was set such that as the B+ voltage swing approached zero on negative modulation peaks, the diode would catch the rail and hold it at +25V or so. Thus, the PA plate voltage could never swing below zero - no negative overmodulation, and thus no splatter - at least in theory. I would adjust mic gain for a mid-scale deflection on the clipping meter on voice peaks. At that point, the modulation envelope looked reasonably clean on an oscilloscope. The clipper was followed by a single-section Π filter using two oil-filled capacitors and an air-wound inductor. The -3dB cutoff frequency was 2.5 kHz. This filter cleaned up the clipped modulating waveform sufficiently to keep the Radio Inspector happy. Using this beast I was able to achieve 125% modulation; assuming 100W carrier input and 65W carrier output, that equated to 325W PEP vs. 260W. Oh, wow. Anyway, I had no trouble chatting with the local guys on local 20m AM round-tables in the evenings (except around the back of Table Mountain - ground-wave didn't go there.) That was well before the era of VHF amateur repeaters. They did comment that my audio sounded "a little harsh, like a typical military radio set." When I explained the clipper/filter to them, they asked me to back off the clipping, whereupon they assured me that I "sounded fairly decent." I had a daily sked with some friends in Johannesburg, 1600km to the north, on 20m CW. One day, I suggested to them that we try AM with my new clipper-filter. They had a tribander 22m up, whilst my antenna was a quarter-wave ground-plane on the roof of the college dorm, about 7m above ground. I heard them, but they didn't hear me worth a damn - even with the clipper. My friend commented: "Well, old boy, time you looked into SSB." 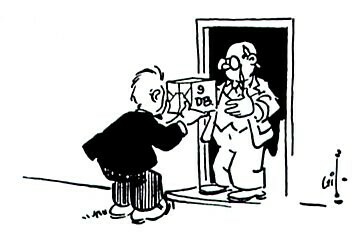 I rose to that challenge with my homebrew 7360 transceiver in 1964, once I started working and earning; my amateur AM career ended at that point, never to be resumed. 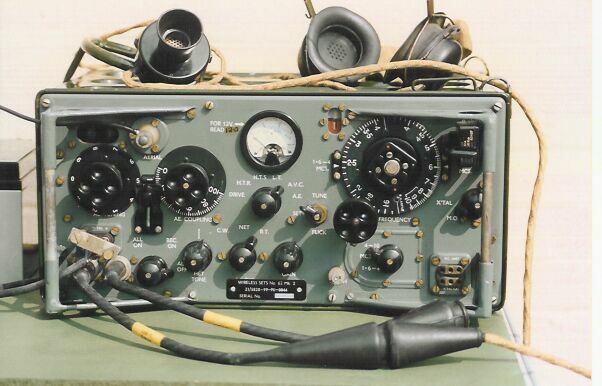 Once the transceiver was complete and working, the old transmitter and modulator went off to the local S.A.R.L. branch flea-market. Our university lecturer in Electrical Communications used to refer to the 9dB S/N advantage of SSB over AM as "Kilowatts from Heaven". That phrase still rings clearly in my imagination when I think about modulation methods. With 65W PEP SSB to the same type of ground-plane, I was able to work all sorts of exotic DX, as well as stations all over Southern and Central Africa. 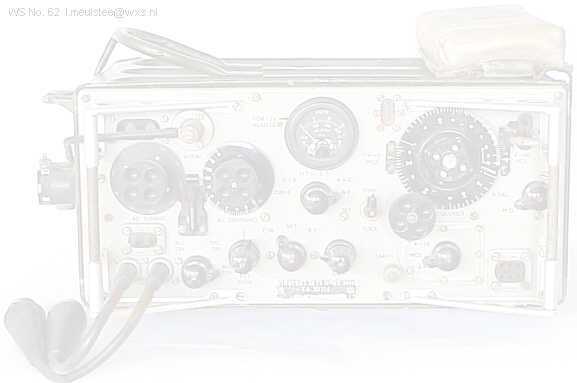 Since that day in October 1963, I have never again operated AM on HF - with the exception of some QRP (1W) experimentation on 10m and 6m with an IC-575A I owned in 1993. Copyright © 2007-2010 A.Farson VA7OJ/AB4OJ. All rights reserved. Last updated: 01/03/2016. WS62 photo courtesy Duxford Radio Society.